Sana Mir, the veteran Pakistan bowler, topped the wicket-takers’ chart even as Pakistan went down 3-0 to Australia in their ICC Women’s Championship series. The series sweep was a good one for Australia, who extended their lead over New Zealand at the top of the table, while losses outnumbered wins for Pakistan, who are now down at No.6, just above South Africa and Sri Lanka on the table. 62* off 37 balls for Ashleigh Gardner! Her maiden fifty gives @SouthernStars a strong finish, as they post 324/7 in 50 overs. But Mir, the 32-year-old former captain, had a good time out in Kuala Lumpur with her off-spin, returning 3/26, 1/37 and 3/53 to end at the top of the MRF Tyres ICC Women’s ODI Player Rankings for bowlers with a career-high 663 points. Ashleigh Gardner, the Australia off-spinner, also had a great time of it, with the ball of course, but also with the bat. 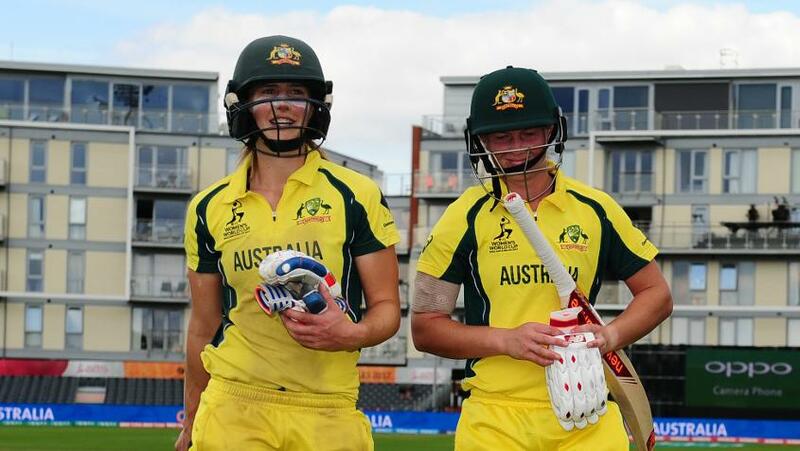 She made the difference in the final game, where Alyssa Healy’s 97 was the top score for Australia, but Gardner’s 37-ball 62* from No.7 and then 3/44 was the real match-winning effort. Perry's 200th match, Vlaeminck ODI debut, Healy hits 97 and Gardner 3-fa! Meg Lanning, the Australia captain, was in great form in the second game, hitting 124. She retained her No.2 spot in the batters’ table, with 675 points, only six behind compatriot Ellyse Perry at the top. Nicole Bolton, meanwhile, didn’t have a good series, and dropped out of the top 10 after slipping six spots. Allysa Healy, however, went up two places to joint No.16 – with South Africa’s Laura Wolvaardt.. The 574 points is her best to date.